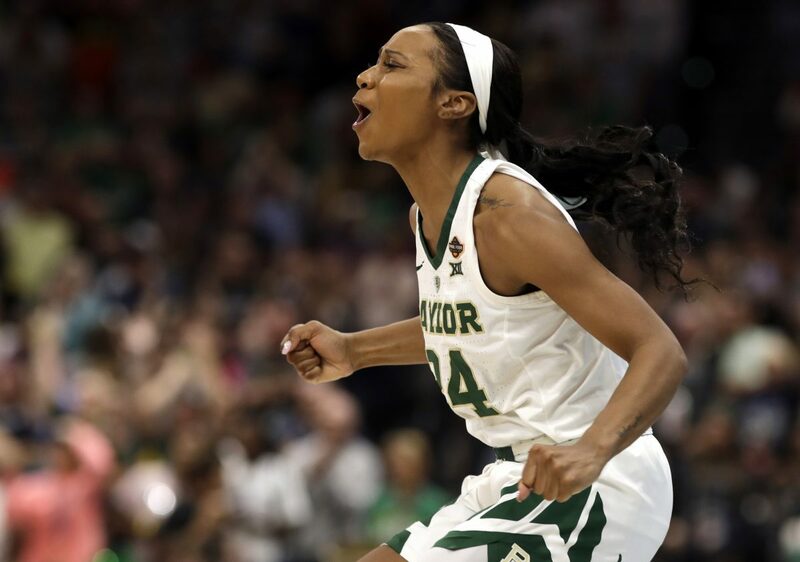 Baylor is the 2019 women’s national champions after a thrilling 82-81 victory over Notre Dame on Sunday night. Leading the way for the Bears was Chloe Jackson, who hit the game-winning layup with 3.9 seconds left. Out of an ensuing timeout, last year’s championship game hero, Arike Ogunbowale of Notre Dame, was fouled going to the basket. But she missed her first free throw, and after an inbounds play, the Lady Bears were celebrating a title. Jackson, a graduate transfer, was named the Most Outstanding Player of the Final Four after a season-high 26 points to go along with five assists in the title game. The Lady Bears (37-1) won their first championship since 2012 and were able to pull off the win without their star forward Lauren Cox, who injured her knee late in the third quarter. After Baylor led by 14 points, Notre Dame fought back to tie the game late at 78, but Baylor was able to pull out the win in thrilling fashion.